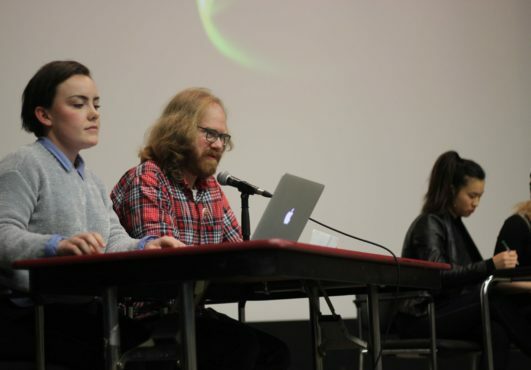 An hour and 26 minutes into the UVSS Directors Debate, held at Cinecenta on Feb. 27, Ainsley Kerr, candidate for Director of Campaigns and Community Relations, asked a question of her opponent Ciel Arbour-Boehme. 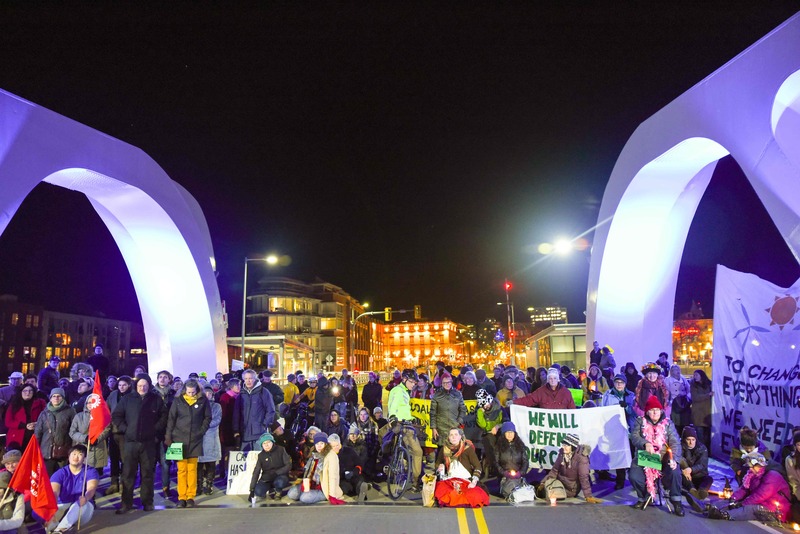 “What sort of steps do you think you’ll have to take in order to actually achieve your promise of the provincial-wide sexualized violence [awareness] week?” Kerr asked. It’s not exactly a hardball question, but it was unique in that it was the only question posed by one candidate to another throughout the debate’s entire two hours. In their defense, only four of the 18 candidates who spoke actually had an opponent to question. Three of the five Lead Director candidates are running unopposed, and each one of the acclaimed 11 Director-at-Large candidates belong to the same Envision slate. Even without examination and criticism from a direct opponent, candidates still struggled to discuss any points beyond just reiterating their written campaign platforms. 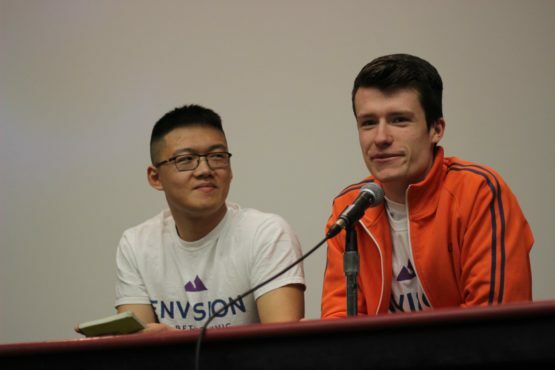 Envision candidates talked about their plans for sustainability — fewer plastic straws, more compost bins, and vegan options in the SUB — and funding and support for mental health by supporting the new peer support centre and cutting wait times for resources. 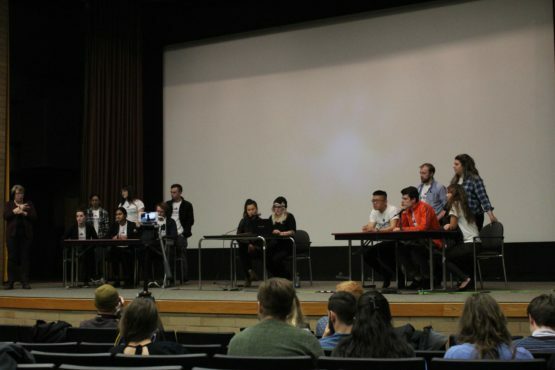 The three unopposed Lead Director candidates from Envision — Pierre-Paul Angelblazer, Noor Chasib, and Curtis Whittla — also stuck tightly to their respective platforms. Angelblazer and Chasib spoke often about learning from their first terms as UVSS directors, and Whittla spoke about increasing financial accountability and transparency for UVSS funds. Candidate for Student Affairs Dirk Slot didn’t recite any policy points, but said that was by design. He would rather have clubs come to him and tell him what they want, Slot said, when asked why he hadn’t posted any campaign promises at all. Isabella Lee, the Student Affairs candidate from Envision, injected the debate with much-needed energy in her passionate addresses, but her enthusiasm seemed out of place in the largely lethargic afternoon. Kerr and Arbour-Boehme, the two candidates for Campaigns and Community Relations, both agreed that needs-based grants and a residential tenancy act were important for students. However, neither spoke of specific ways to accomplish these goals, beyond promising to lobby the B.C. government. The real moments of conflict came from audience questions. Though there weren’t more than 50 people in Cinecenta, several were interested in quizzing the candidates on their platforms and positions. Most of the questions came from current or former UVSS board members. Kenya Rogers, ex-UVSS Director of External Relations, asked the acclaimed Directors-at-Large how they planned to tackle sexualized violence on campus and lobby the university to direct more funding to its Sexualized Violence Prevention and Resource Office. Adrienne Graham attempted an answer about supporting The Anti-Violence Project, but the moment grew awkward when it became clear that she didn’t understand the difference between the AVP and the Resource Office. Current Director of Campaigns and Community Relations Anmol Swaich quizzed the candidates running for her position, Arbour-Boehme and Kerr. She asked them what they were willing to do to lobby the province for needs-based grants, considering the competition for limited government resources. 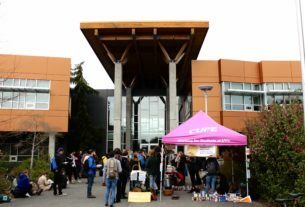 When Swaich tried to clarify her question to receive a coherent and relevant answer, Kerr spoke about rallying the student body and bringing the issue to the attention of the provincial government. After Kerr finished, Arbour-Boehme jumped in once more. “Lobbying the provincial government is an important resource,” she said. The most surreal part of the afternoon came in a question from another current UVSS board member, Director-at-Large Cameron Fox. “Do you agree or disagree that Felicita’s currently sells craft beer?” Fox asked, alluding to an Envision campaign point that would see the campus pub invest in more local beers. “Um, I don’t really drink craft beer,” said David Stevanovic, a current UVSS Director-at-Large who is set to serve his second term in the position. The audience groaned, and Stevanovic sat back in his chair. The room was silent for ten or so seconds before Director-at-Large candidate Jonathan Loring stepped in and said the answer depended on the definition of craft beer. “If you classify Phillip’s beers as craft beer, then yes,” said Loring. Voting starts on Feb. 28 at webvote.uvic.ca.